6 1/2" overall. 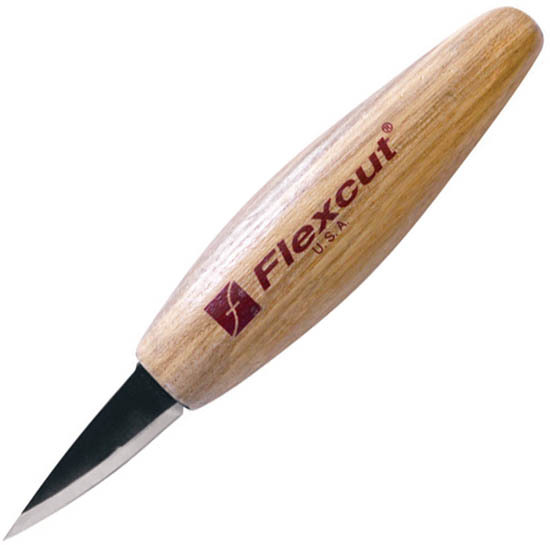 1 3/4" high carbon steel skewed blade gives the user a different approach to a detail or paring cut. Instead of a perpendicular bevel as found in many detail knives, this instead is slightly skewed. Wood handle shape holds like a pencil or conventional knife.